Believe it or not people and animals are constantly eroding the earth around them. Often times it is just a little bit of dirt sliding off a walking path but other times it can lead to massive problems. 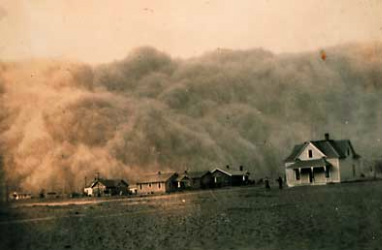 During the Great Depression in the 1930's poor farming techniques helped cause what was known as the Dustbowl.